The Green Antelope Horn Milkweed — Asclepias viridis — is so named for its elongated fruit (top right corner of the image). 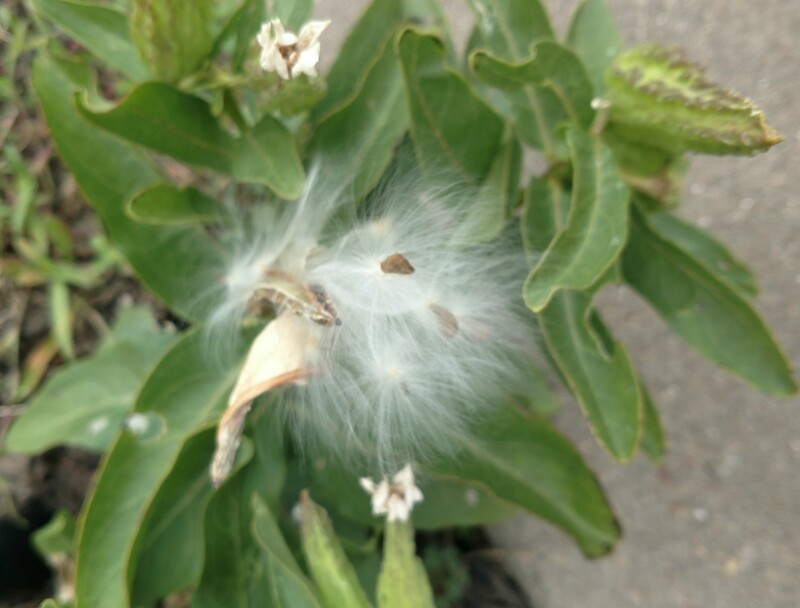 In Texas, the seeds of this Milkweed emerge in July. This year, we have a second crop of seeds just about mature. The fluffy white threads with seeds easily become wind-borne to carry this plant to new locations and ensure another crop for next year. The Monarchs find this plant welcoming them on the migratory journey South, through Texas. Texas Dewberries Have a Short Season. Oscar Okra: An Heirloom Worth Growing! Is this Plant a Cypress Vine or a Cardinal Climber?